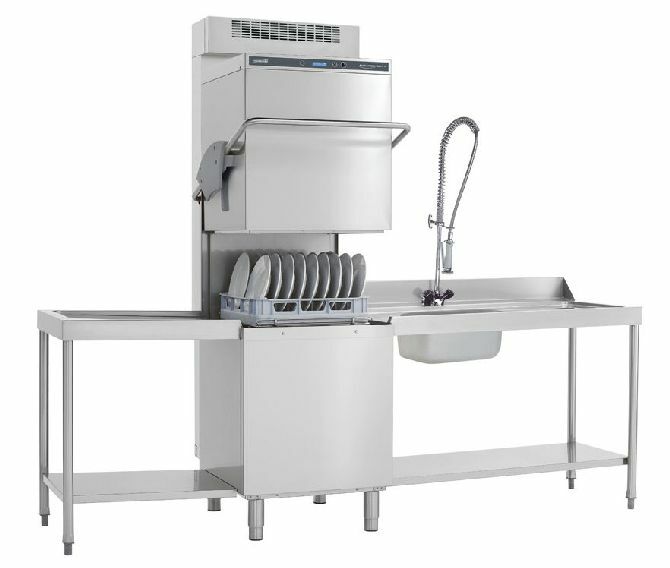 Maidaid Evo2035WSHR pass through dishwasher basket/rack size 500mm x 500mm. Rinse booster pump, Drain pump, type AA breaktank and integral water softener comes as standard. Heat recovery saving up to 25% on heating rinse water. Double skinned cabinet minimises both acoustic output and reduces heat loss. Up to 25% less power required to heat rinse. Evo2035WSHR Rack size 500 x 500mm. Dimensions W640 x D755 x H2235mm height adjustable from 2235to 2295mm. Cycle times between 90 & 715 secs, including special cycle. ACT extremely instensive cycle for the dirtiest products by running two complete cycles. Cycle times can be tailored to sit requirements. LONG cycle for intensive wash of for glass renovation. 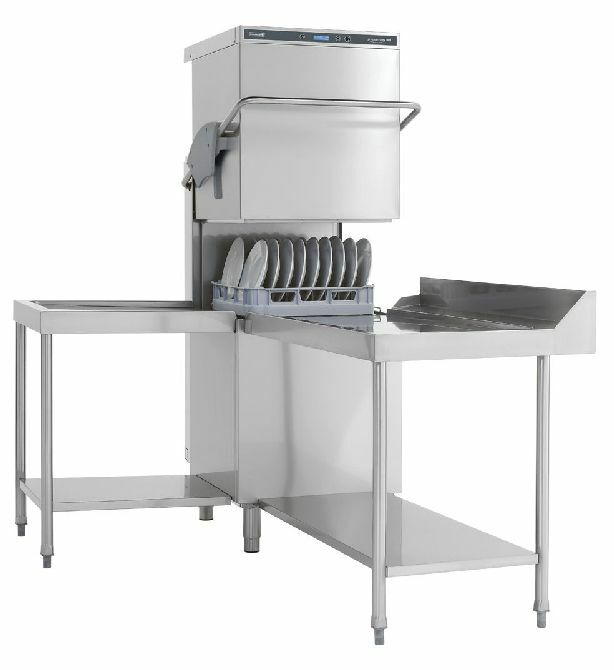 Reduces need for extraction hood and improves working environments. Suitable for cold water supply only at 2 to 4 bar dynamic supply pressure – cannot be used with hot water supply.